Hepatitis is most commonly a viral infection that causes inflammation of the liver. Did you know one-third of Americans have had hepatitis A at some point in their lives? While hepatitis can be a serious illness, there are ways to protect yourself from it. 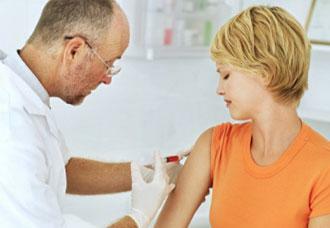 Most doctors agree that getting a hepatitis vaccine is a reliable way to protect yourself. But where can you get a hepatitis vaccine? FastMed Urgent Care has walk-in clinics throughout North Carolina and Arizona and provides safe, affordable healthcare every day of the year. What are the Different Types of Hepatitis? What are the Symptoms? Where Can I Get a Hepatitis Vaccine? FastMed Urgent Care Keeps you Informed. There are 5 main types of hepatitis: A, B, C, D and E.
Hepatitis A and E are generally caused by ingesting contaminated food or water. Hepatitis B, C and D are generally caused from coming into contact with infected bodily fluids, as in the case of sexually transmitted hepatitis. Vaccines are currently only available for hepatitis A and B.
FastMed Urgent Care provides hepatitis A and B vaccines with no appointment. Contact your neighborhood FastMed to find out specific availability of vaccines. Tell me more about FastMed! We are dedicated to getting our patients in and out within 1 hour. Whether you need a hepatitis vaccine, a flu shot, or an annual physical, FastMed is there for you 7 days a week. Need health care fast? Check-in now!